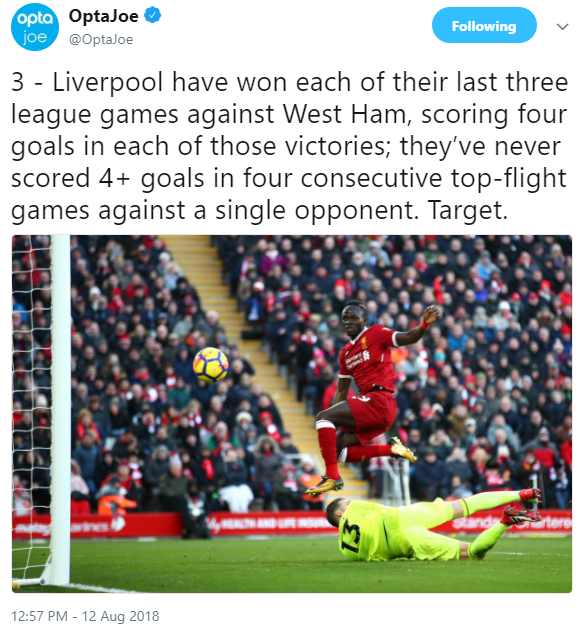 Liverpool kicked off their 2018-19 Premier League season with an excellent 4-0 victory over West Ham United at Anfield. 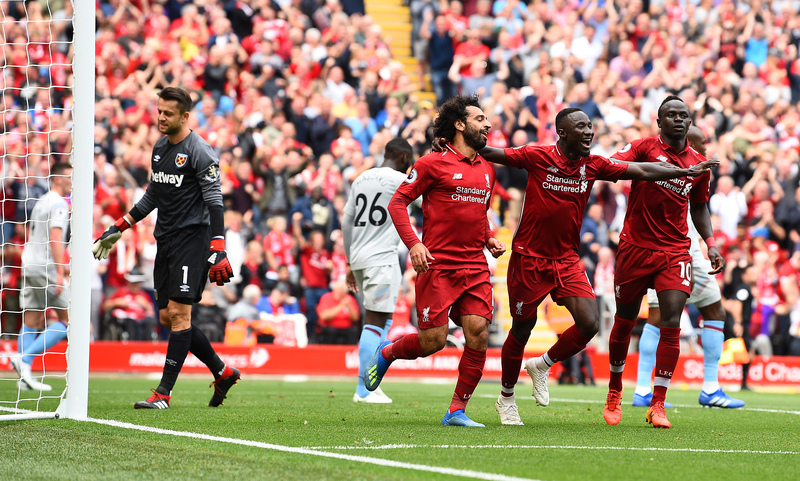 That's exactly the kind of start the Reds wanted, with Salah, Mane (two) and Sturridge the goalscorers in an impressive win over the Hammers at Anfield. Well, that's a way to make an impact. A corner in from the left finds its way to the back post and, under pressure from a defender, it's Sturridge who gets the final touch into the net. 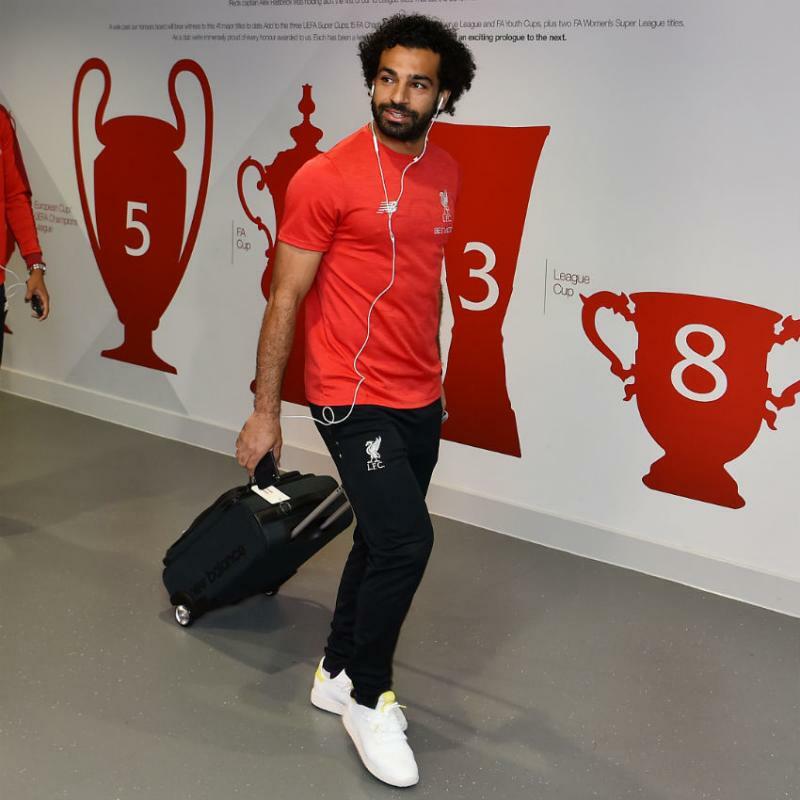 Third and final sub for Liverpool - Sturridge on for Salah. A second change for Liverpool and it's a competitive debut for Shaqiri, who comes on for two-goal Mane. The Reds aren't settling for what they have here and a quick counter sees Keita hold off pressure to release Robertson for a cross into the middle that just evades Salah. Nimble dribbling from Mane in the West Ham half opens up a chance for Wijnaldum to strike at goal but the Dutchman's effort is off target. 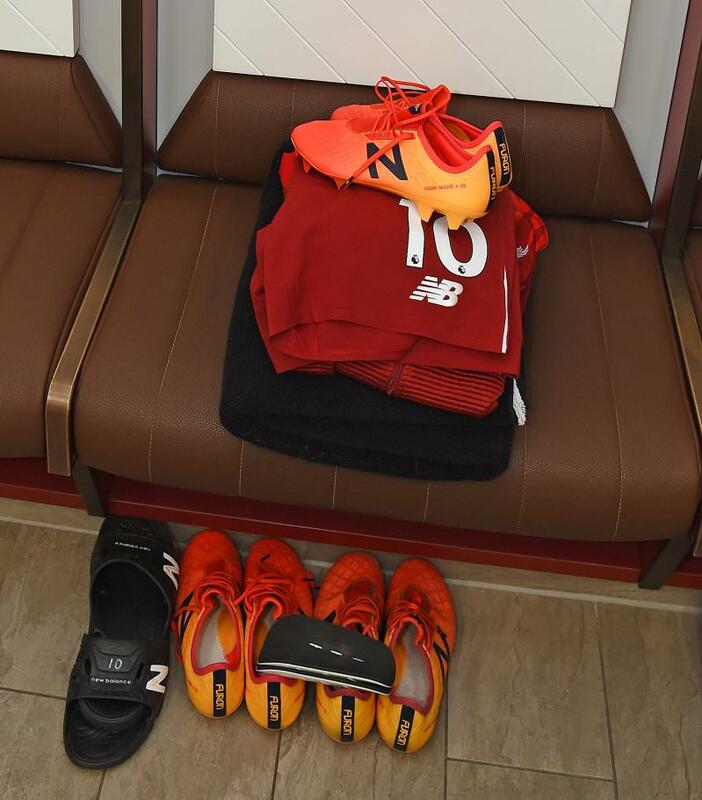 And now a first Liverpool switch - Henderson replaces Firmino. 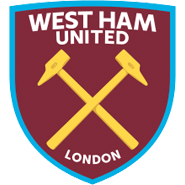 Final West Ham change - Yarmolenko on for Arnautovic. Milner tries his luck from a free-kick right on the edge of the area and it's blocked by Wilshere before Noble does the same to deny Salah on the rebound - with both men down as a result. Hernandez is on for Anderson for West Ham. That should really be that for Liverpool. 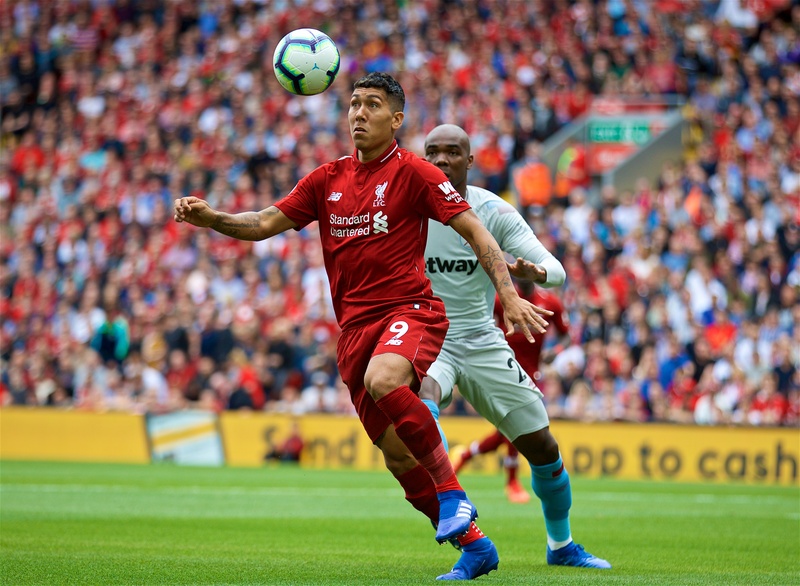 Firmino runs through the centre and holds the ball waiting for an opening, before prodding it through to Mane. The No.10 cracks in a first-time finish on the turn into the bottom corner. Replays show he was offside but the goal stands. Antonio booked for a foul on Alexander-Arnold. Anderson wins the flick-on at the near post from a corner on the right but the unmarked Antonio can't quite wrap his foot around the ball at the back post to send it towards goal. Mark Noble gets the second half under way. 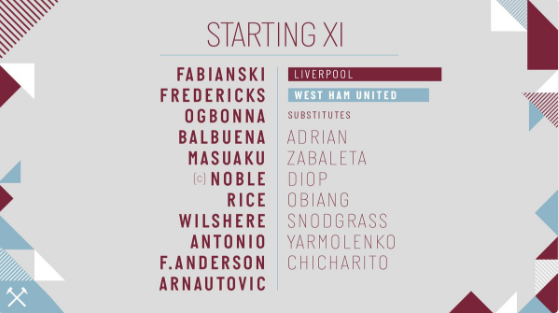 Snodgrass replaces Rice for West Ham. James Milner played more passes than any of his Liverpool teammates during the first half (52) but it was Georginio Wijnaldum who played the most in the opposition half (31). 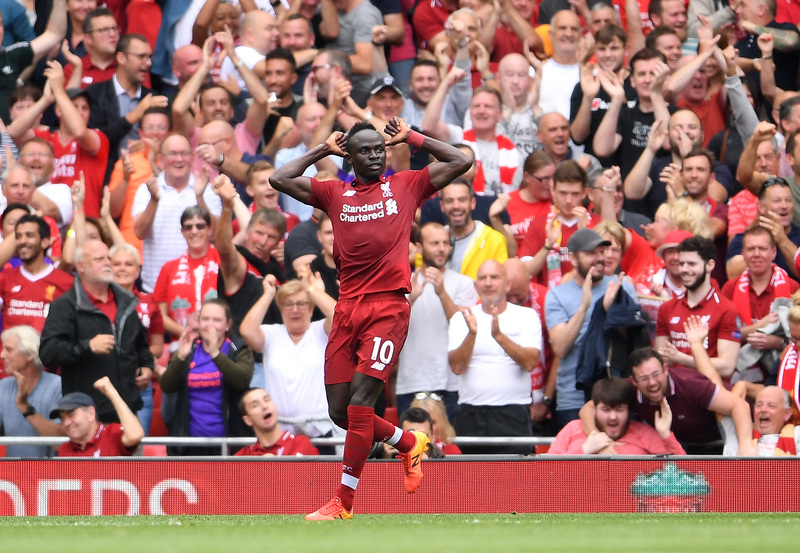 A fine opening 45 minutes of the Premier League season for the Reds, who lead by two at the break courtesy of goals from Mohamed Salah and Sadio Mane. And now it is two. 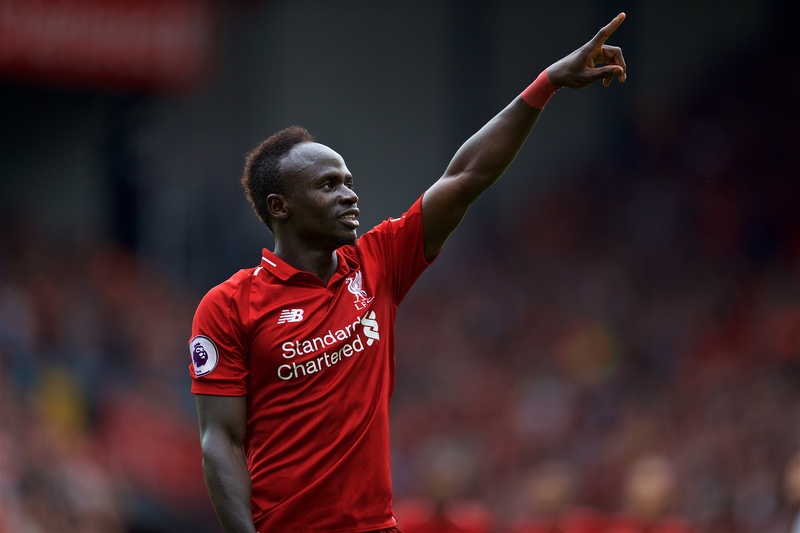 Robertson's deep cross from the left corner of the area finds Milner unmarked - and onside - and the No.7 cuts it back for Mane to sweep home from yards out. 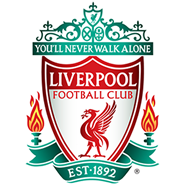 Salah almost scampers onto a Mane header over the West Ham backline but Fabianski is quick off his line to smother the ball before the Liverpool man can pounce. More neat approach work from Liverpool gets Firmino into space at the right edge of the box but Salah's close-range strike from the cross is blocked by the reflexes of Fabianski. Andy Robertson now has six assists for Liverpool and three of those have been for Mohamed Salah, who has now scored 20 goals in his 20 league games at Anfield. Liverpool almost suffer a bizarre goal. As Wijnaldum attempts to carry play away from the Reds box, the ball gets stuck under the feet of the referee and West Ham seize it. But, thankfully for all concerned apart from the Hammers, Arnautovic drags his shot wide. Arnautovic gets in behind with a smart run to reach a long ball forward and his pace takes him through to goal along the left. Gomez recovers well, though, and slides in to block the shot for a corner. 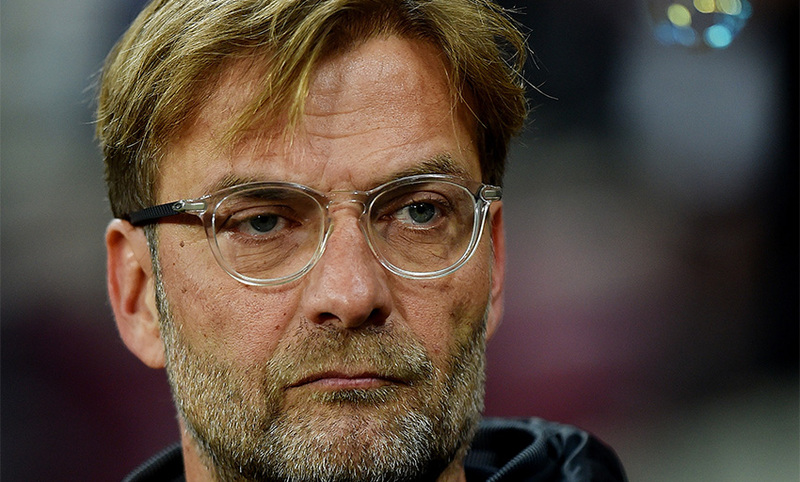 Alexander-Arnold steps up to swerve a free-kick towards the top left corner and it's absolutely perfectly placed... until Fabianski stretches to claw it away from goal. So unlucky. Alexander-Arnold is booked for a high arm on Anderson. A lovely move sees Keita find space in the centre and spread the ball wide for Robertson with freedom. The Scot serves a cross to the back post, where Salah has the simple task of tapping in. How hasn't that gone in? 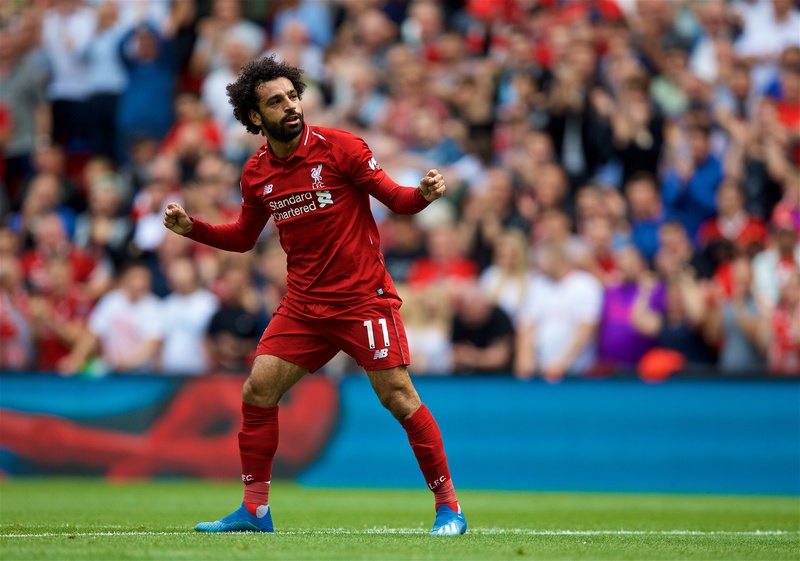 Milner curls in a perfect cross along the six-yard box but none of Salah, Firmino or Mane can connect for what would surely have been a tap-in. 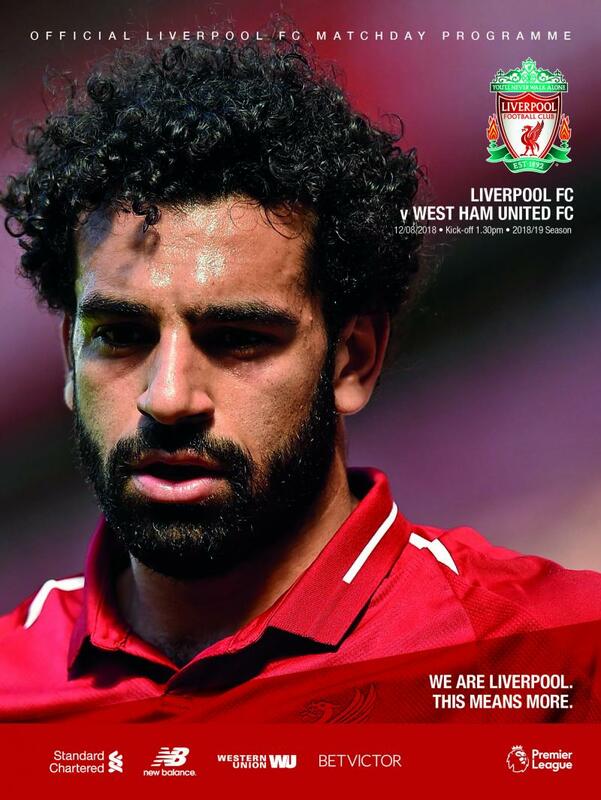 Liverpool threaten to punish West Ham - from their own corner - but Salah's diagonal through to Mane lacks enough power and the forward is crowded out, with Anderson diligently tracking back. Plenty of play in West Ham territory so far, but no goals yet. 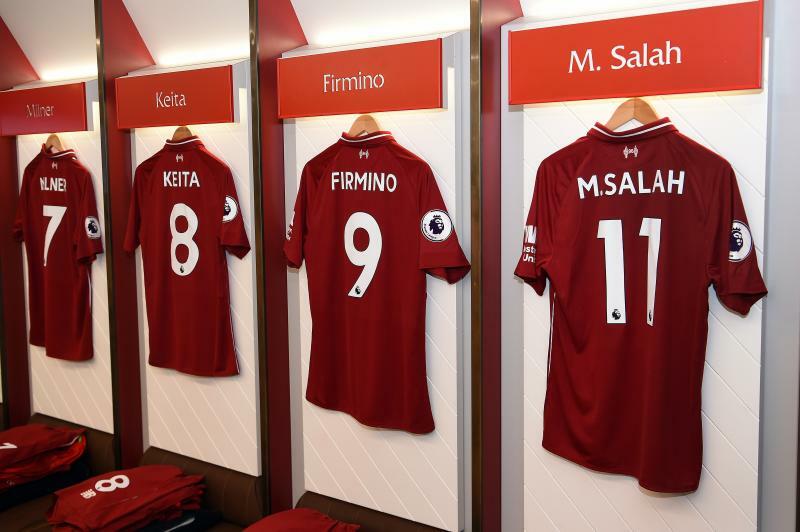 Keita fires it forward to Salah, who waits for the supporting run of Firmino, with Mane already offside, and threads a pass to his fellow attacker. But Antonio gets a timely foot in before the No.9 can shoot. Reminder that you can track all the stats of the game with our Opta chalkboard below. Fast start from the Reds here and a quick throw frees Firmino inside the box. The Brazilian lofts the ball over his head into the area but Mane can't quite reach the pass at the back post. 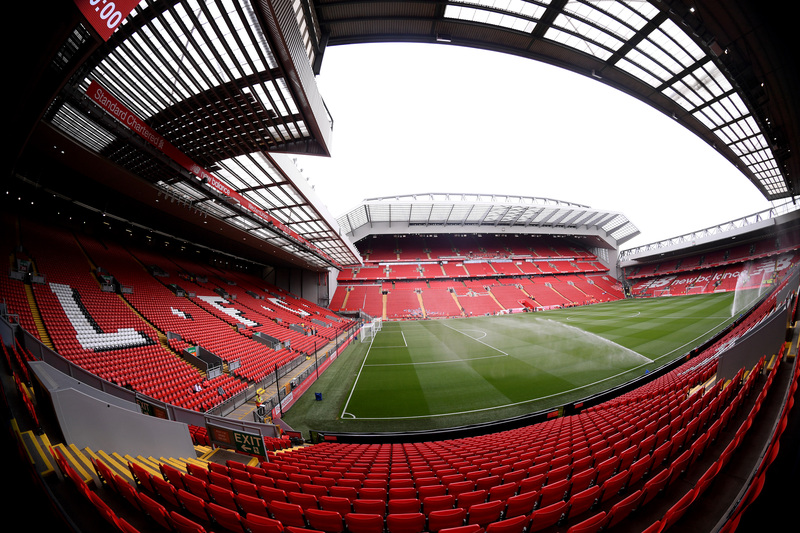 James Milner kicks off for Liverpool, who will be attacking towards the Kop end in the first half. Great noise heralds their walk out onto the pitch. This is it! 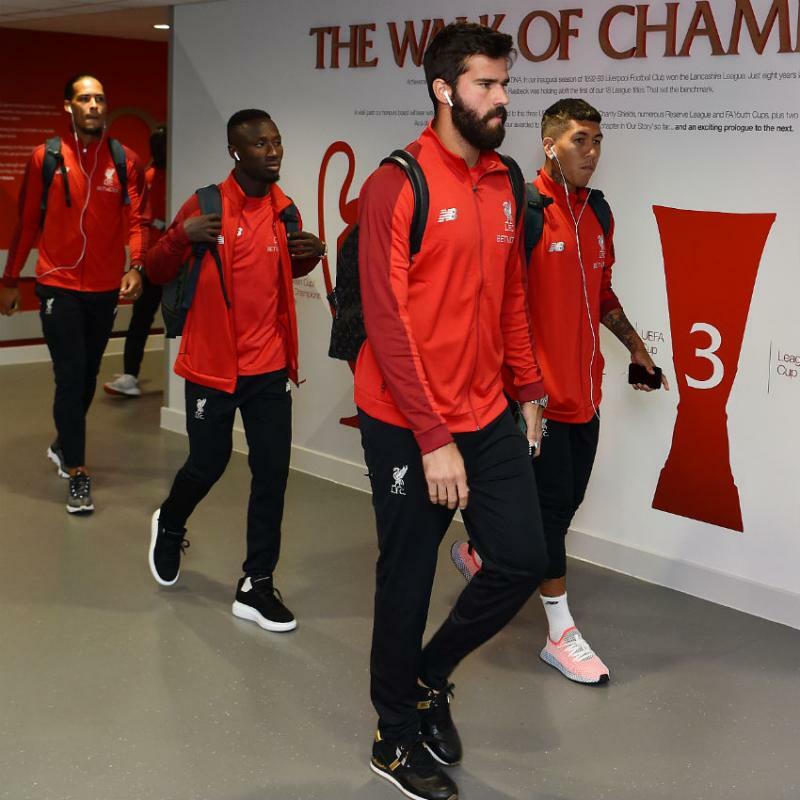 “[Alisson] has to play his game. We have worked together for two weeks; that’s not the world but it’s OK,” the boss told Sky Sports. 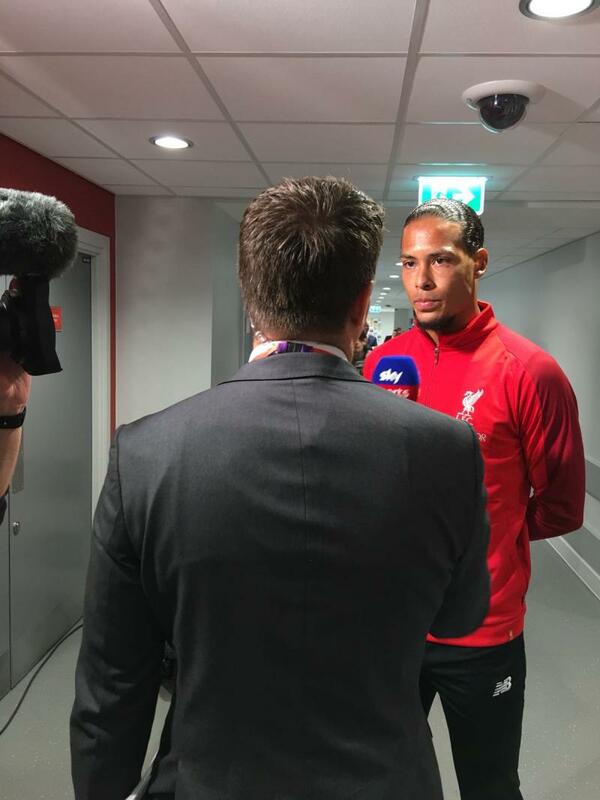 “Naby was here for all six weeks of the pre-season, like Fabinho. Shaqiri came later. Both are in the squad, that’s very important for us. “Up front is clear. The defensive line is pretty much the defensive line of last year; Joe [Gomez] is in now at centre-half, he played a good pre-season. 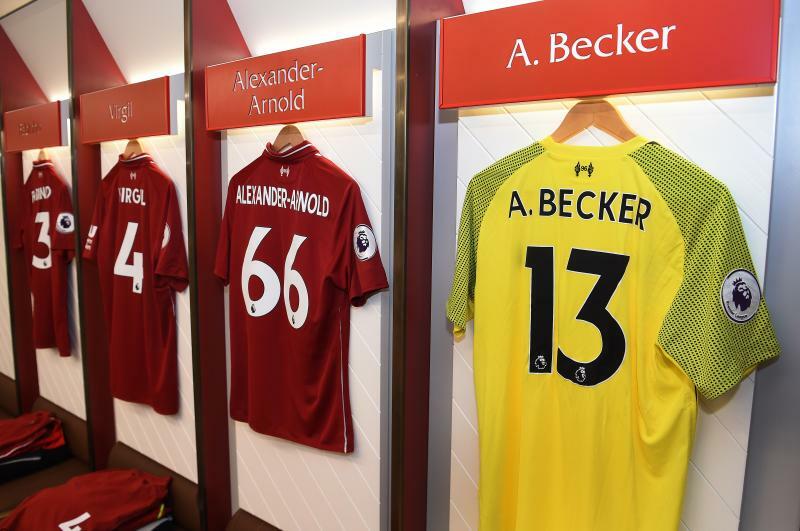 Alisson Becker and Naby Keita are handed their Premier League debuts for Liverpool in our opening 2018-19 fixture with West Ham United at Anfield. 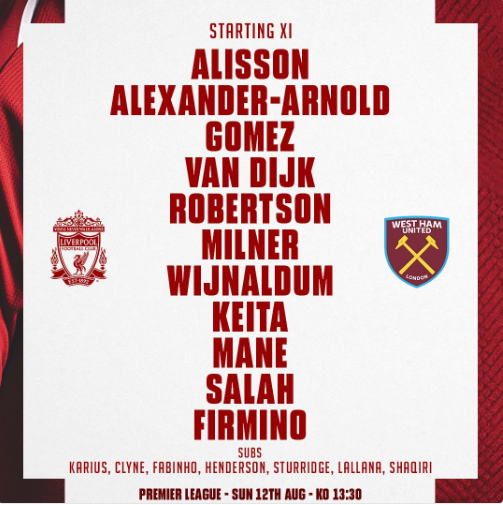 Joe Gomez is named in central defence alongside Virgil van Dijk, while Fabinho and Xherdan Shaqiri are on the bench alongside Jordan Henderson. Pre-match media duties are handled by our No.4 this afternoon. Will we see anything like these today? Let's hope so! 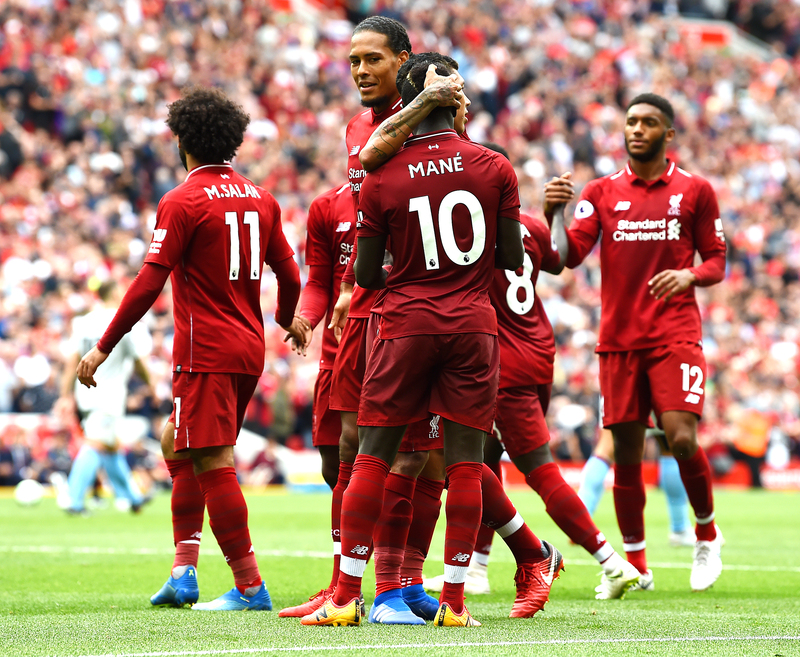 A win for Liverpool this afternoon would be their 500th in the Premier League era. 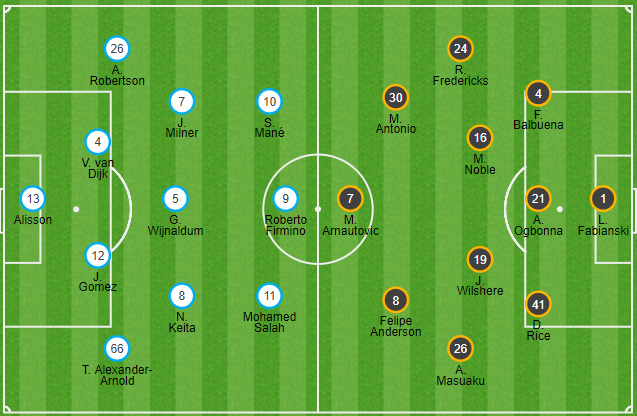 For more stats and facts ahead of kick-off, read our pre-match preview. 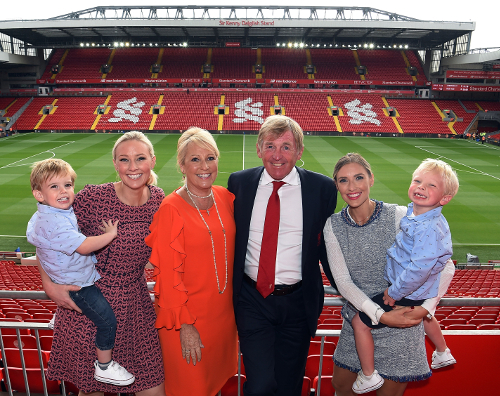 New season, same commitment to bringing you weather updates for every Liverpool game. That's how we roll at the official website. 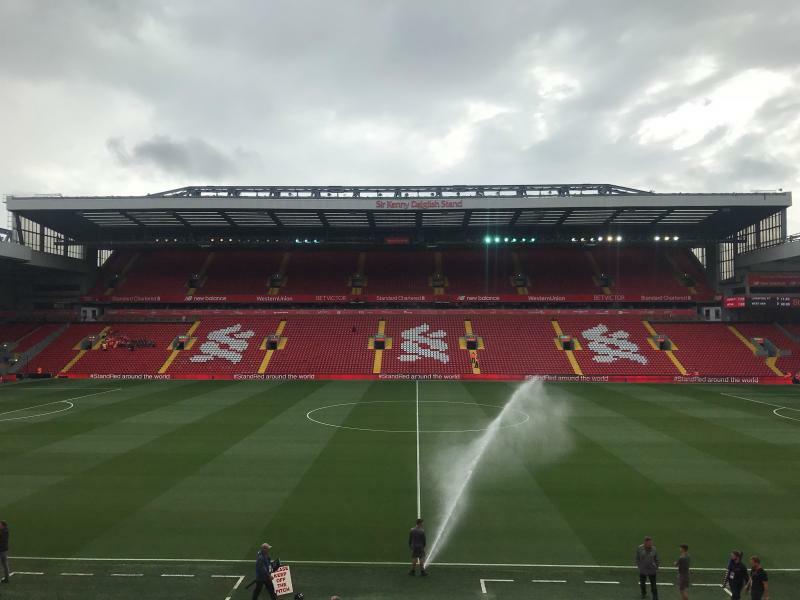 It's a drizzly day around Anfield so far, with a slight hint of sun on occasion. Jacket or coat is a sensible choice if you're heading to the stadium; hat or gloves optional, as always. 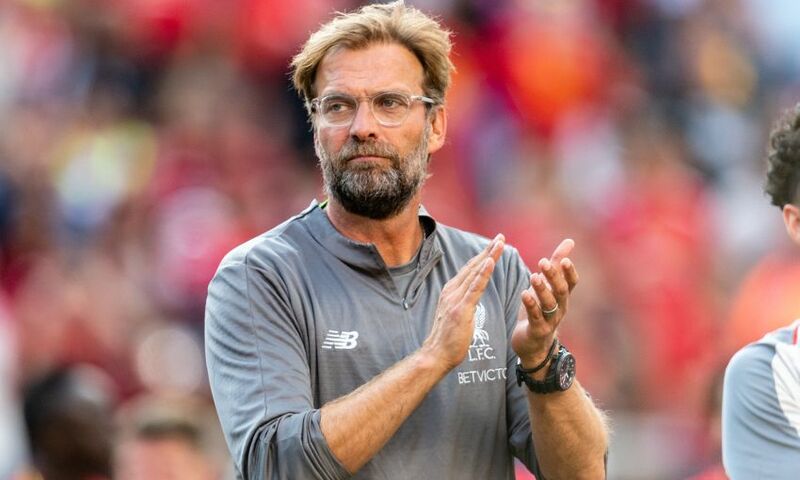 Jürgen Klopp insists Liverpool are heading into 2018-19 having set the ‘highest expectations you can imagine’ for themselves. 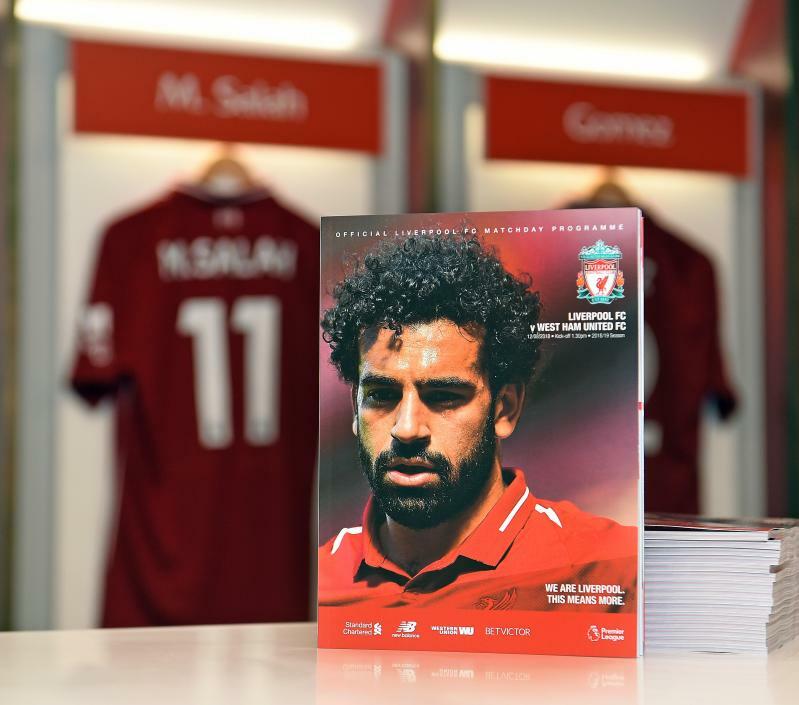 In his programme notes in today's 'This is Anfield', the manager writes: "We come into today full of joy, expectation and excitement but knowing we are continuing an existing journey. Last season brought wonderful memories and great moments. "Of course, these are to be cherished, but from a professional perspective we must view it as something that has concluded – but something to progress from. It’s about using the information and taking the next step." 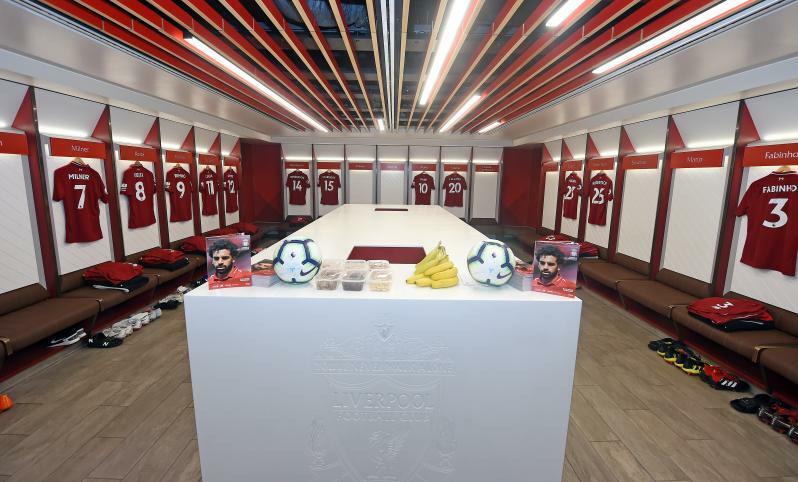 You'll hear confirmed team news from Anfield here and across our media channels first at around 12.30pm, but we already know bits and bobs about who's likely - and unlikely - feature. 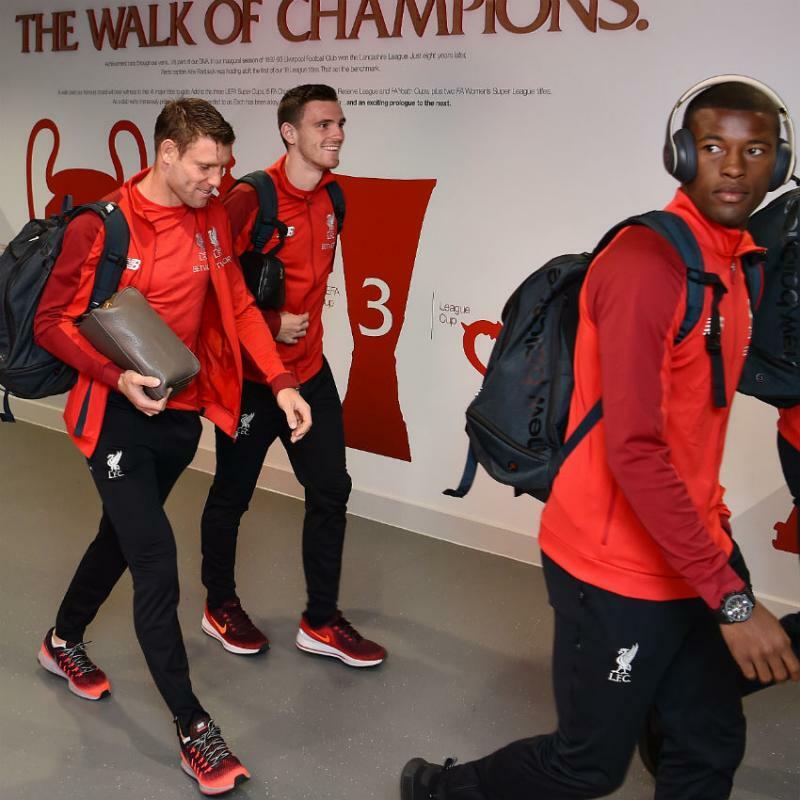 Alisson Becker, Naby Keita and Xherdan Shaqiri are in contention to make their competitive debuts for the Reds, but Fabinho is a doubt after a minor injury and illness. 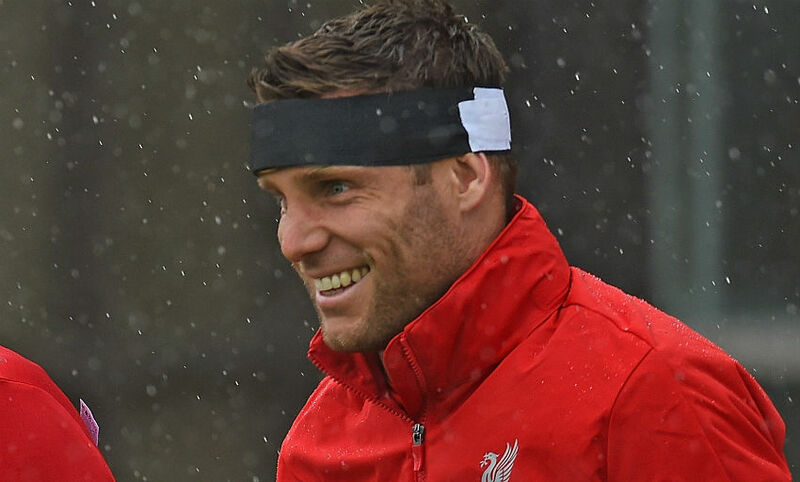 James Milner is likely to be available after receiving 15 stitches in the head wound he sustained in the 5-0 friendly win over Napoli in Dublin last weekend, while Jürgen Klopp is considering how to use Trent Alexander-Arnold and Jordan Henderson after their returns from World Cup duty. Dejan Lovren – who reached the final with Croatia – is ruled out, however. 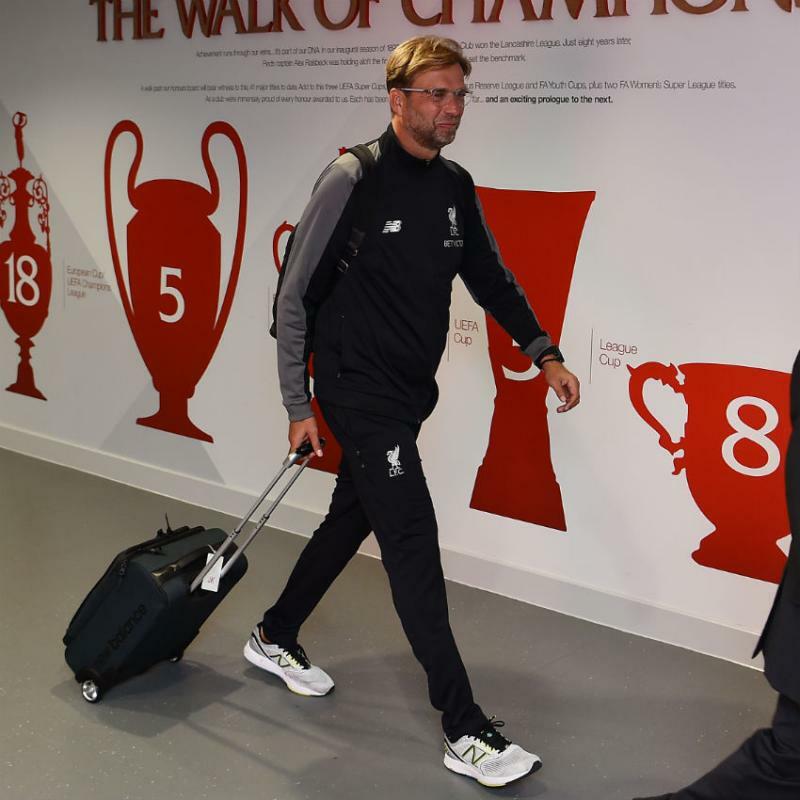 Minor issues could influence Klopp’s selections in central defence, with Joe Gomez, Ragnar Klavan and Joel Matip carrying injuries of varying degrees. First of all, let's catch up with Jürgen Klopp's pre-match press conference. 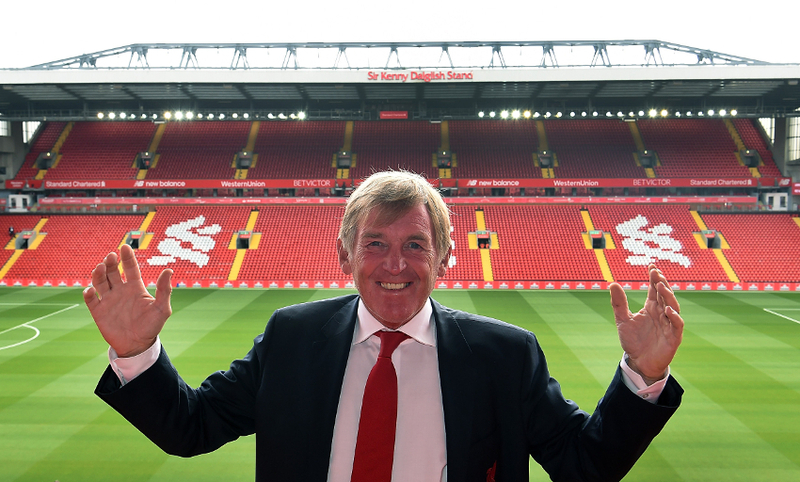 The waiting is over - the first day of Liverpool's Premier League season has arrived. 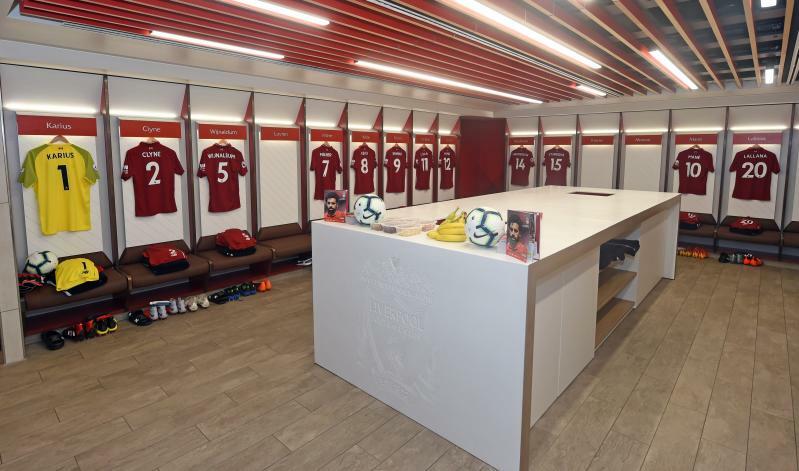 West Ham United are the visitors to Anfield this afternoon. Stay right here for the best coverage of the build-up, action and reaction from L4.